High quality sound is an essencial part of the good media product. 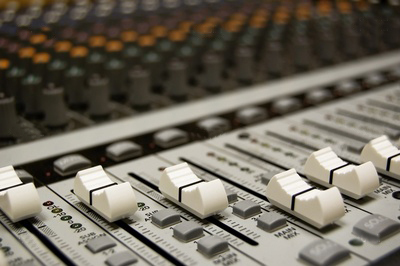 Audio services have broad implementation in Radio (outdoor recording, audio commercial spot production) and Television (Film and TV commercial dubbing and voice over, audio localization, music background, audio logos), Film industry(outdoor recording, audio effects, ADR, film music production), music business, advertising (Radio and TV commercial production, PR films, audio spots for multimedia and interned based advertising media, IT technologies, e-learning (training audio, audio manuals and audio navigations, product presentations, technology implementation). Graffitti Studio provides a broad spectra of audio services to companies Worldwide, ingaged in various media fields. Since 1994 we have worked with world famous names from the Music Industry (Joe Lynn Turner, Billy Gould, Naughty by Nature, Cafe Del Mar), Television and Film Industries (Warner Bros, Turner Networks). We have a team of trained professionals and a state of the art equipment for audio recording, production and post production.